Scientific Solutions Global LLC exhibited Bare Urea Gel for the first time at 69th Annual Region Three conference. This year the conference was scheduled for May 2nd to May 5th 2018 at Resorts Casino & Hotel in Atlantic City. It was organized & operated by a group of volunteer doctors from Delaware, New Jersey, and ‎Pennsylvania. During the event Scientific Solutions promoted the benefits of Bare Urea Gel for patients suffering from severe skin conditions such as severe corns, callouses, dermatitis, psoriasis, and keratosis. The new products, technologies and treatments presented at the conference help podiatrist to improve the patient’s care and experience. “It was outstanding experience to exhibit Bare Urea Gel at Annual Region Three Meeting. It is an honor to introduce a game-changing product to the podiatric community. In a first of its kind the Bare Urea Gel formulation has taken the podiatric world to the next level of treating conditions that require Urea. It will materially improve patient outcomes and quality of life for those suffering from severe skin conditions.” stated Zeb Pirzada, the Chief Executive Officer of Scientific Solutions Global, LLC. 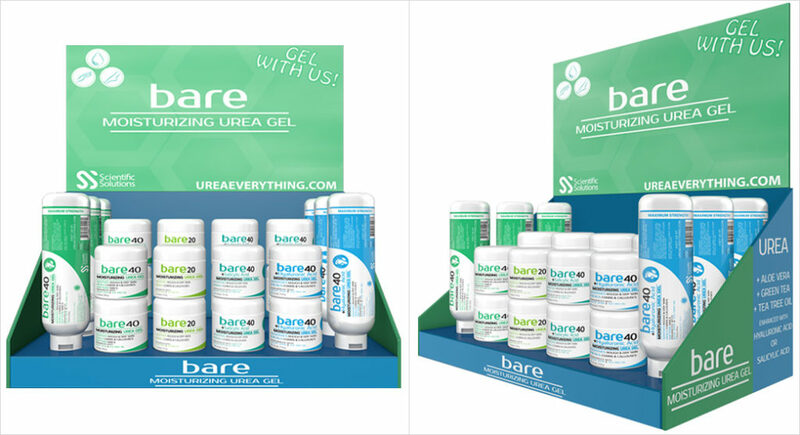 BARE is a professionally recommended formula proven to give superior results. Bare Urea Gel is specially formulated to remove thick callouses, helps repair cracked heels and skin with the most potent therapeutic ingredients including green tea, tea tree oil and aloe vera extracts.